I’ve come across some truly unique flooring designs that I wanted to share with you! Painting your floors a custom color or installing patterned flooring adds visual interest and personal flair to your room. Personal flair really is what makes a space memorable! I’ll be the first to admit that what I really want is for my home to be warm and memorable. 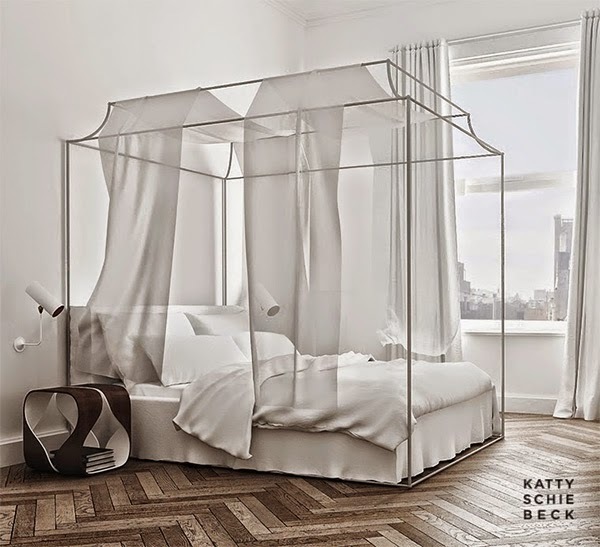 So, what makes the most unique and stylish homes memorable? It’s one’s personal selection and collection of decor that makes one’s home memorable. Your guests will appreciate and remember your unique style if you dare to show it. 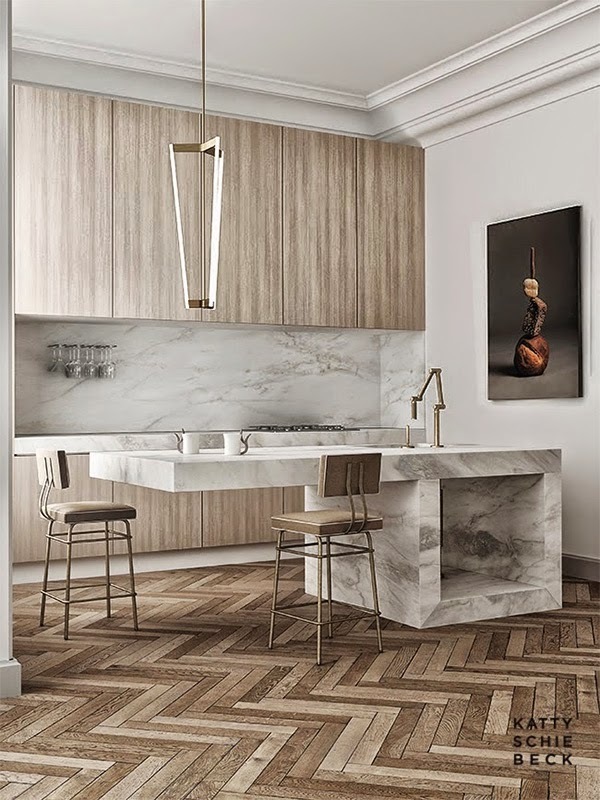 Something tells me we can all appreciate the amazing depth the chevron wood floors add to this home (above). What a stunning space! The patterned floors really are the star of the room! I just love this home’s simplistic attention to detail. We get another look at chevron flooring above. 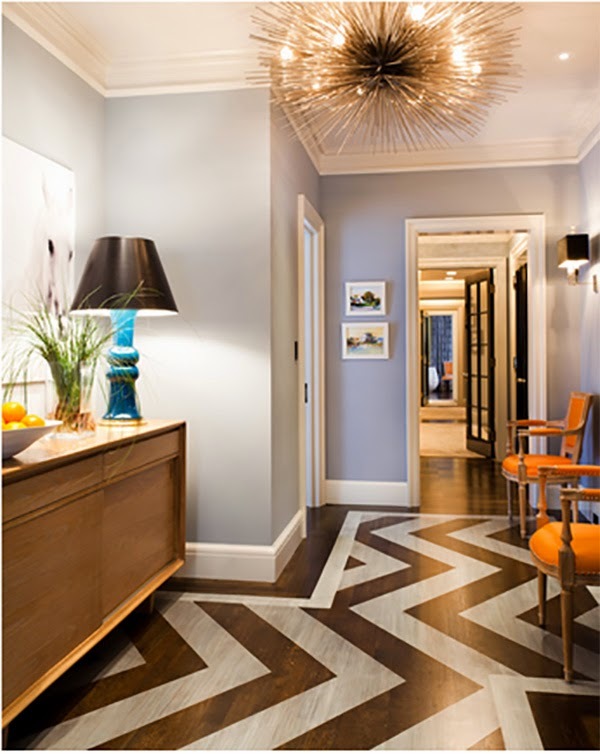 The painted wood floors in this graphic black design add style and interest to this entryway. We can see how similar patterns with different executions can give an entirely different feel. Creating a pattern with your wood planks or making the lines in your painted floor design thicker or thinner can transform the entire look of your room. At the end of the post I have included some instructions for do-it-yourself floor painting, if you think you may want to try your hand at this. These are the kind of variations that add personal flair to your home and can enhance the overall styling of your space. Although it can be a nerve-racking decision, selecting bold flooring can really pay off. 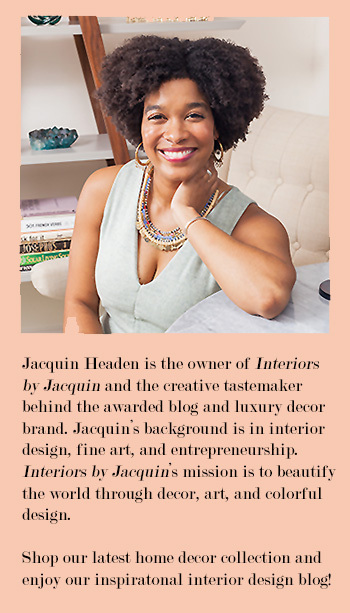 Take a look at how fantastically the turquoise flooring above came out! 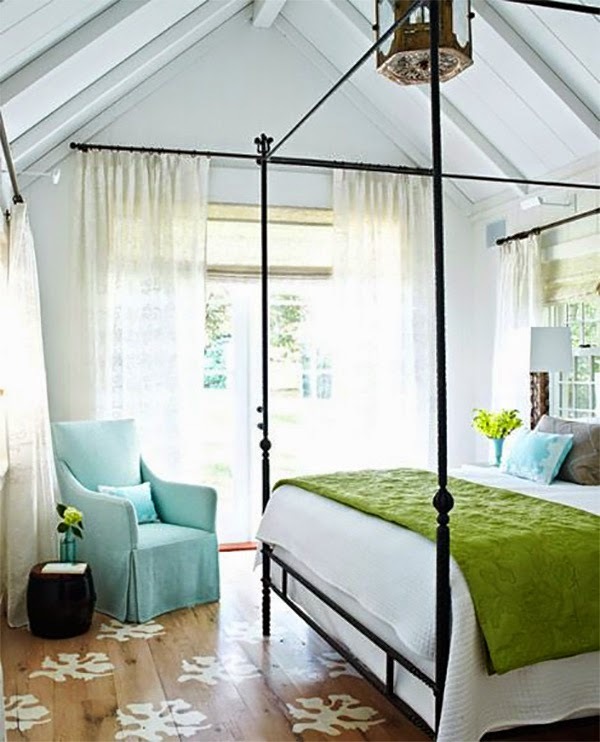 Yet again, these gorgeous floors are the star of the room, even in such a bold color. The black and white honeycomb painted floors above are anything but plain. 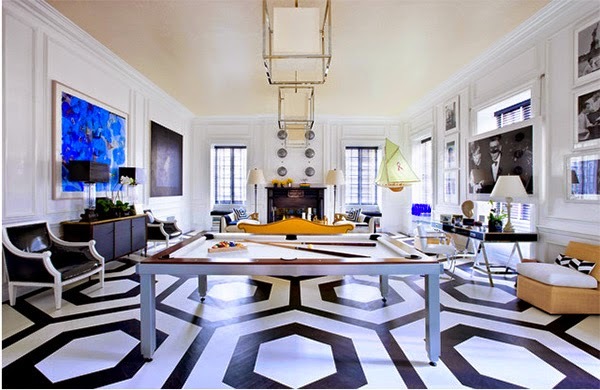 These graphic floors are truly memorable! Painted floors are great for kids’ playrooms too. You can go all out with color to create a fun space! Not to mention, painted floors are easy to clean and you can always repaint if the floors are ever stained. The homeowner above created the cutest striped pattern on the floor in her dining room using acrylic latex floor paint, painters tape, and a bit of patience. The easiest way to instantly patterned flooring is to select a patterned tile for your floors. 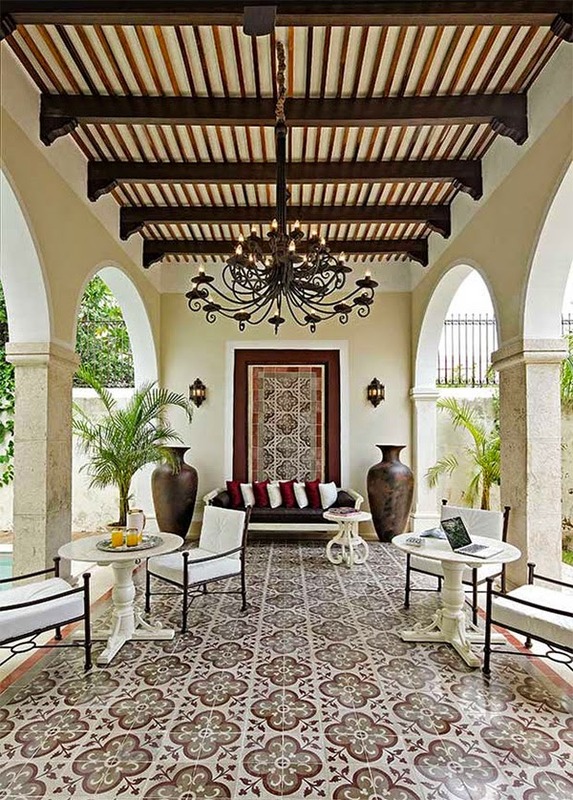 Take a look at this hacienda’s beautiful tile work. With this flooring, the Spanish theme is perfected in this well-styled home. The last two rooms (above, below) both feature painted hard wood floors. Most people don’t think to paint hard wood, but it can be quite charming. 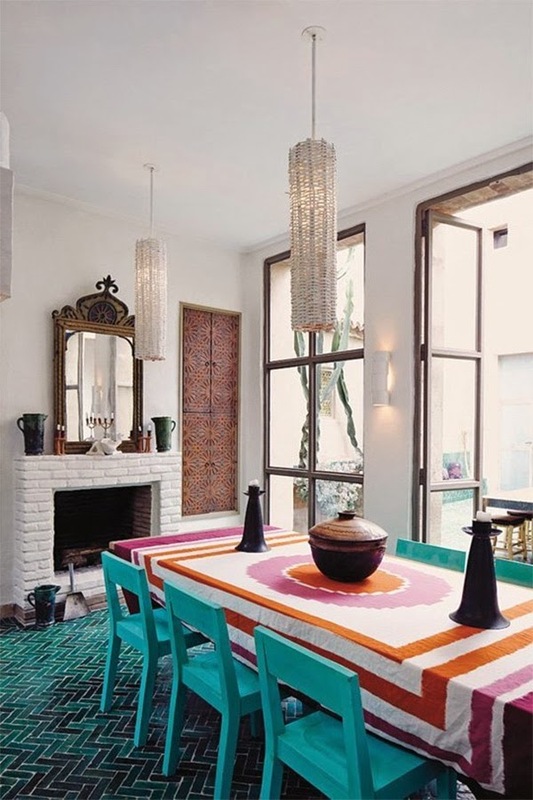 I really like the cheerful and whimsical look created with the combination of the painted floors with the turquoise and lime color palette. It’s just so upbeat! Have you painted your floors before or are you considering doing so? I’d love to hear about it! 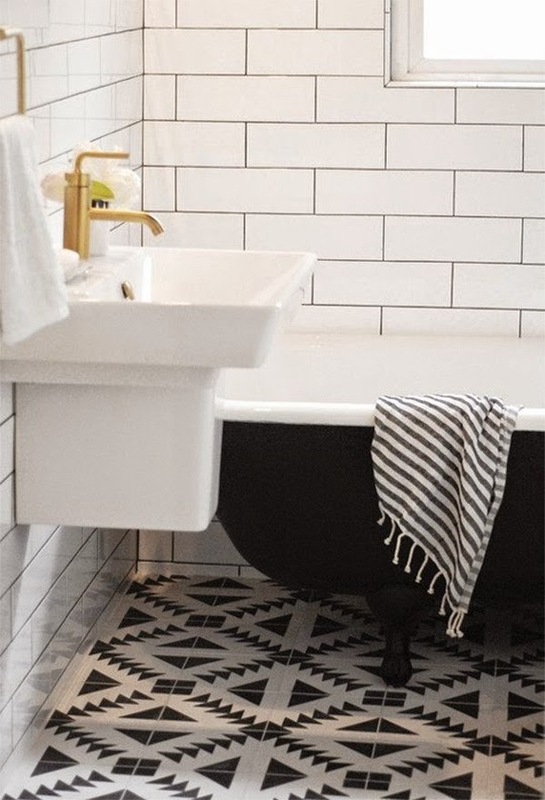 Here are two posts featuring DIY instructions for painted floors for your home–here and here. Have a great week!